Stuck on which seats to buy for your dining area? This clever guide gives you stylish, foolproof picks for the most common types of tables. ...an upholstered chair in a bold fabric. The soft fabric covering offsets a wood table’s hard surface. For a fresh, modern look, go with a graphic print instead of a safer solid. ...a sleek midcentury modern seat. 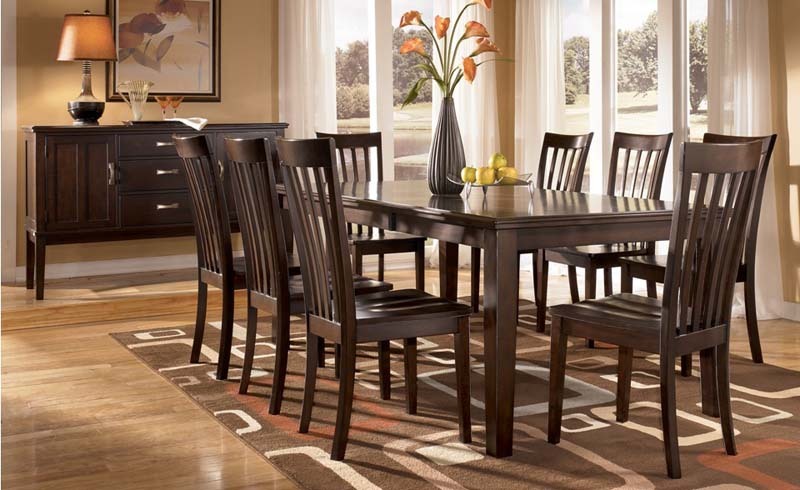 Contrast a rustic rectangular table with sleek, curvy seats at a wallet-friendly price. ...a classic wooden chair that’s family-friendly. A lacquered surface is easy to wipe clean; the deep, black hue is striking alongside the table’s warm brown shade. Choose a wood chair with an open back to keep the overall space from veering too bulky. ...a rattan seat in a spunky color. Intricate fretwork stands out against the table’s smooth white surface, especially when the chair is a poppy shade of pink. This one comes in more than 15 color options. Bring in some warmth with a teak seat. 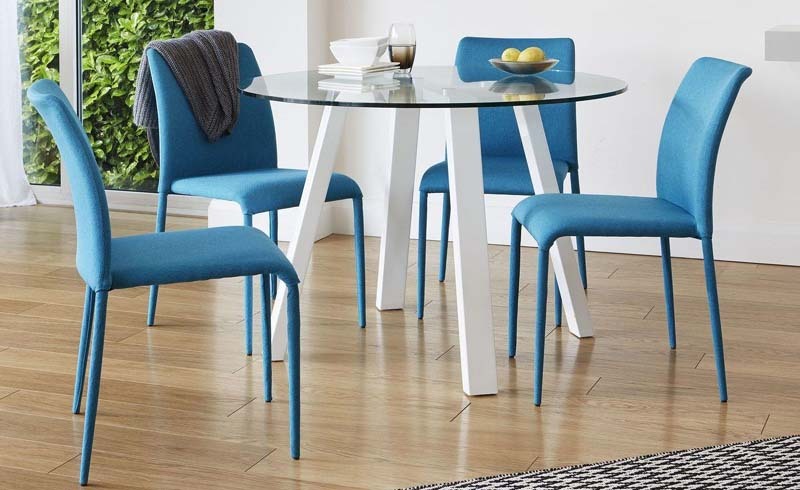 This one’s elegant, sculptural shape plays well with the table’s clean lines. An iron chair in a fun, edgy color livens up a dining area, making it a great pick for frequent entertainers. These stackable seats are durable and weather-resistant, so they can double as extra perches on the patio when needed. Play up the dressy vibe of a marble table by pairing it with shimmery, gold-finish seats. For a more masculine touch, bring in clubby chairs, like this cast-iron version with a supple, stitched leather seat and back. A relaxed, understated cafe chair with an open back and woven rattan seat lets a polished-looking marble table be the star of the room. An artsy glass table can give off a cold vibe if you surround it with seats that are ultra-sleek. Instead, go for contrast with a cozy style, like a wood-frame chair upholstered in a rich leather. A tall, camelback style chair in a sophisticated neutral gives any glass table an elevated look. A mix of materials adds interest to a dining room, giving it a lived-in, eclectic vibe.